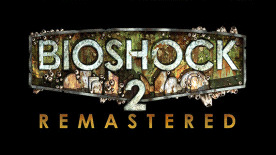 Buying BioShock 2™ Remastered gets you BioShock 2™! You receive the call: Tenenbaum desperately needs you to steal as much ADAM as possible, to help thwart Sofia Lamb's insane plan. Enter the Protector Trials: frantic combat challenges designed to push your mastery of weapons and Plasmids to the limit. The goal in each Trial is simple: get your Little Sister to an ADAM-rich corpse and keep her safe while she gathers precious ADAM. Opposition mounts as your Little Sister nears her goal – will you survive the onslaught?